How do I Improve Body Tone? Doing push-ups can be an inexpensive way to tone muscle. Yoga is a whole-body exercise. A nutritious diet is important in improving body tone. 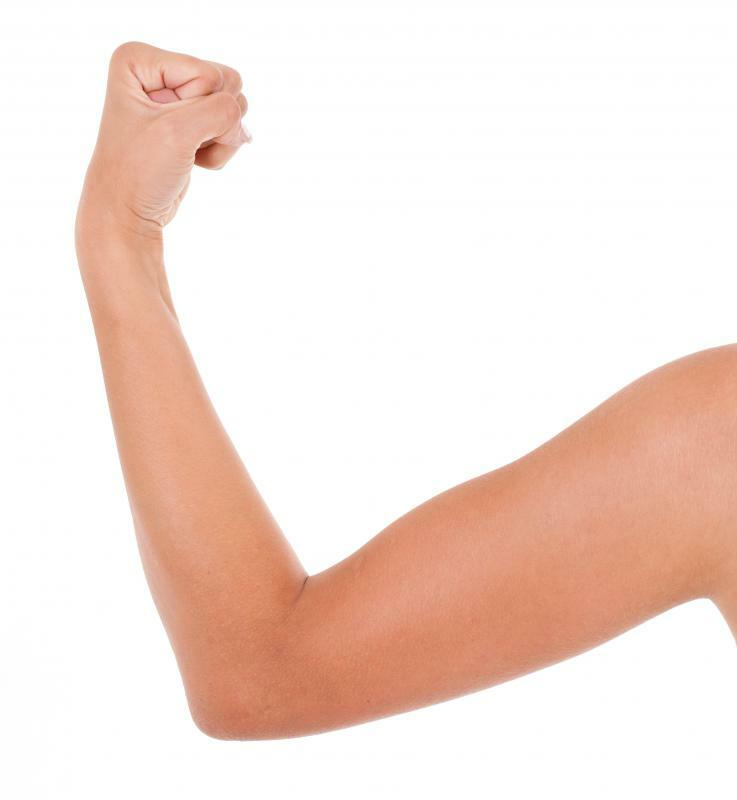 Lowering overall body fat can accentuate the biceps muscle. 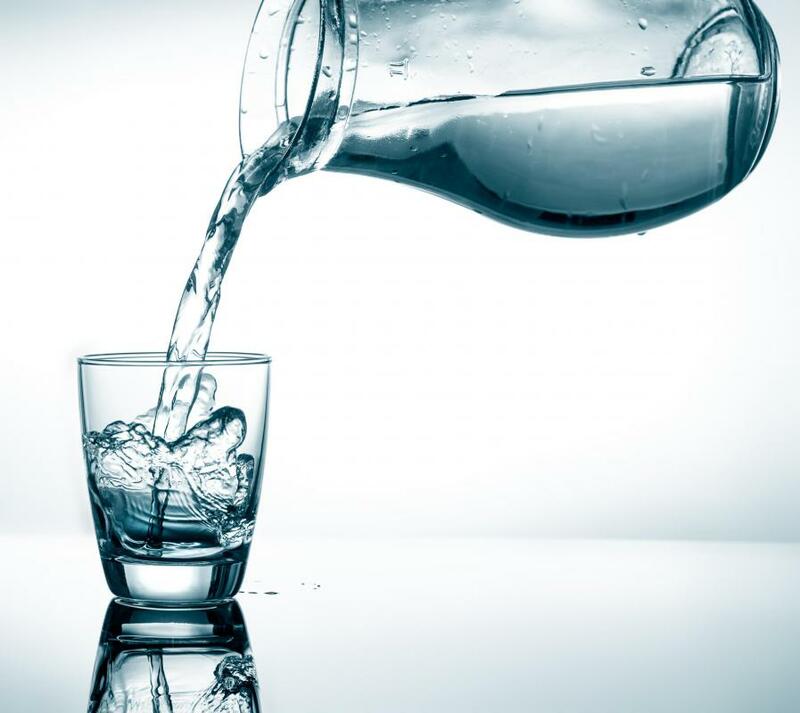 A healthy diet that consists of plenty of water is important in improving body tone. Lifting weights can help improve body tone. Toning the body requires focus on both diet and exercise. Performing tricep kickbacks with hand weights helps to tone the arms. Lunges are an excellent way to strengthen the three gluteus muscles while also toning thigh muscles. Many people believe that achieving bulging biceps or rock-hard glutes is a matter of simply hitting the weight room a few times a week. Most fitness experts agree, however, that the notion that we can pick and choose the body parts we want to tone is a mere myth. To truly improve your body tone, you should focus on working your muscles as well as burning calories to eliminate excess fat all over your body. In order to achieve these aims, you should perform exercises that strengthen your muscles as well as those that blast calories by raising your heart rate. Additionally, you should strive for a healthy diet with a limited caloric intake. To begin improving body tone, choose an exercise routine that challenges and strengthens your muscles. You might use free weights and weight machines to perform a series of exercises like bicep curls, bench presses, calf raises, and leg extensions. If you prefer to avoid lifting weights, you can perform moves that use the weight of your own body to create resistance, such as push-ups, crunches, and chin-ups. Should you wish to work your muscles in a classroom setting, you might consider taking yoga or Pilates. No matter your method of choice, strength training will build your muscles as well as raise your metabolism, increasing your body’s ability to burn calories. Even the strongest muscles can be hidden beneath excess fat, however. Ridding your body of surplus fat is a matter of increasing the amount of calories you burn off as well as controlling the number of calories you take in. 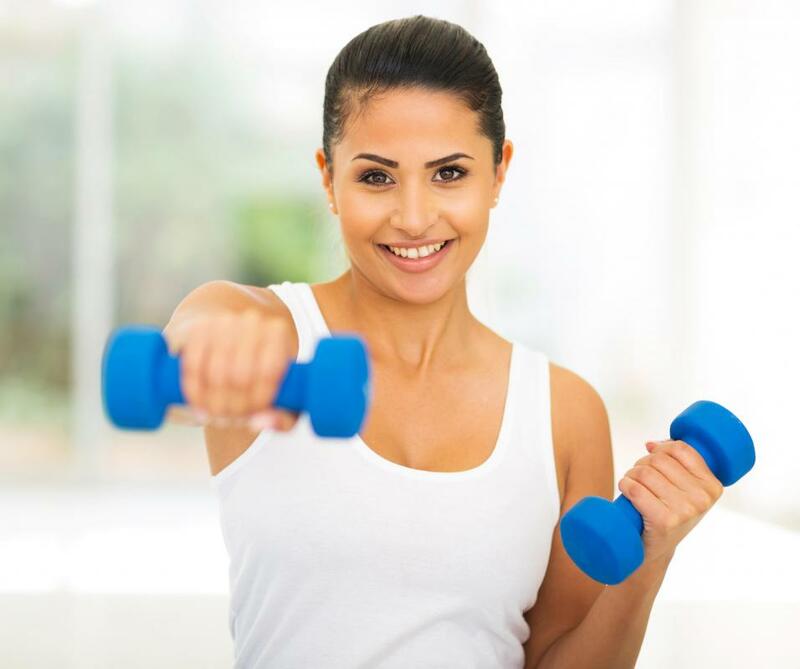 Thus your campaign for improved body tone should also include calorie-zapping cardiovascular exercise as well as a nutritious, low-calorie diet. Cardiovascular exercise elevates your heart rate, in turn burning calories and melting away excess body fat. Choosing the best cardiovascular exercise routine for you is purely a matter of personal preference. You can, for instance, jog, scale a rock wall, play tennis or basketball, swim laps, or just go for a long walk. Just keep in mind that a good cardiovascular workout should noticeably raise your heart rate. For the best body tone, your workout should be performed for 45 to 60 minutes, three to four times per week. 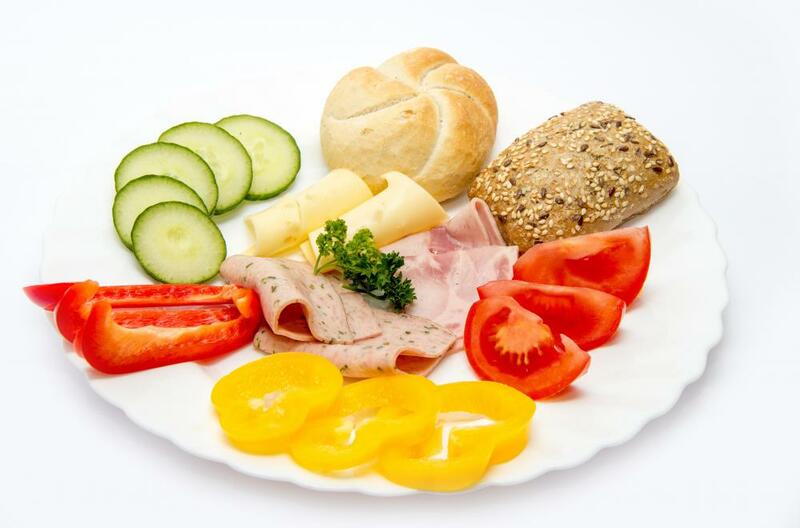 Healthy eating is the final key to eliminating fat, allowing you to show off your body tone. Aim for a diet that is rich in natural, unprocessed foods, such as vegetables, fruits, and whole grains, and remember to drink plenty of water. Consuming around 25 to 30 grams of fiber daily can curb the desire to overeat by making the body feel full. To speed fat loss, you should also monitor your daily caloric intake. For most healthy adults, fat loss is best achieved on a nutritionally balanced diet of 1,500 to 2,000 daily calories. What are the Best Body Toning Exercises? What are the Best Tips to Tone Your Chest? What are the Best Tips to Tone Your Belly? What is an Ab Toning Belt? @umbra21 - I really just want to improve my body tone for myself. I just don't feel comfortable with my body the way it is and I know that's partly because I don't feel attractive. I think it's perfectly valid for someone to want to change their superficial looks as long as they don't base their self esteem on it. Toning your body is probably one of the healthier ways a person can show love for themselves as long as they are doing it out of love and not obsession. @pastanaga - For the most part your point is valid, but there are a few caveats. Fat can influence muscle tone because someone with a large percentage of fat won't be able to move with as much flexibility as someone with an equal amount of fitness, but less body fat. The other point is that a lot of people want a toned body not for the health benefits, but in order to look like a particular ideal. Now, in terms of health, someone who is skinny might look more toned than someone who has excess body fat and still be more unhealthy. Body tone can be a good way to judge health, but only if you actually know what you're looking for. And I guess the other thing is that people shouldn't really be judging other people by their looks in the first place. Another person's health is none of your business. I know that the ideal shape for contemporary society is one without much extra body fat, but muscle tone can improve your health and looks even if you aren't particularly worried about losing weight. Body tone is really more about the shape and health of the muscles than about anything to do with fat and I think people should be more concerned about their strength and agility than the number that pops up when they get on the scale.